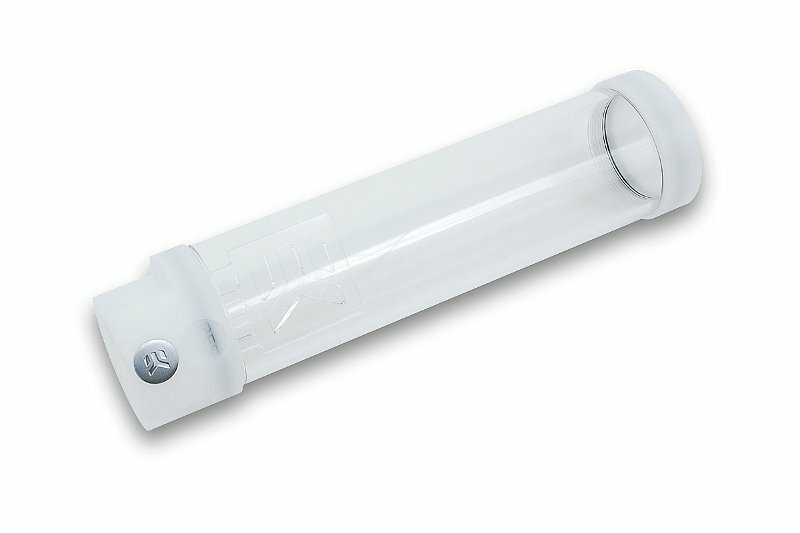 EK-RES X3 250 is a cylindrical standalone reservoir, manufactured of premium quality 60mm acrylic tube and POM Acetal end caps in white color. The sealing is performed by quality EPDM rubber washers. 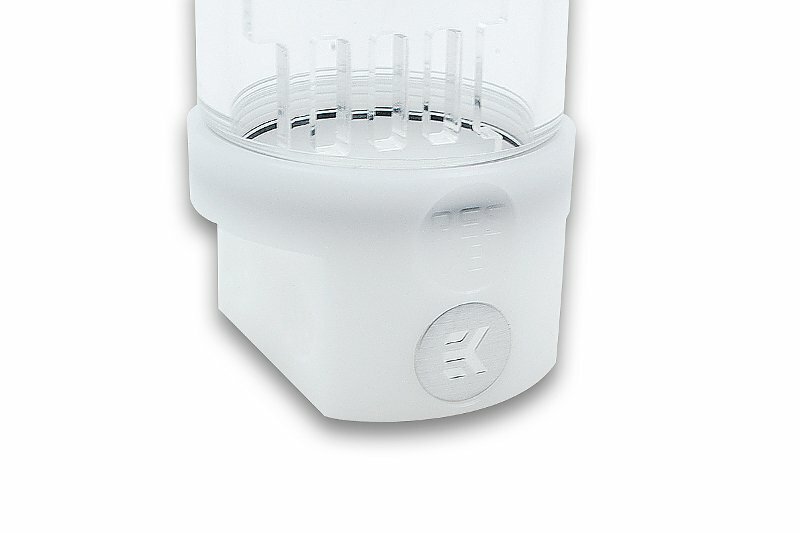 EK-RES X3 reservoirs feature improved inlet/outlet port configuration for easier and more straightforward fitting configuration and tube routing. Reservoir’s bottom terminal is optimized for best flow and vortex ouccurance is also diminished by the use of enclosed anti-cyclone as well as additional PE foam. 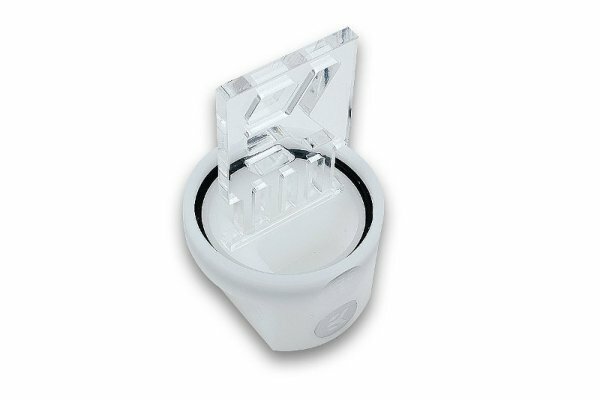 Top features one G1/4″ threaded port, while the bottom features five G1/4″ threaded ports for various intlet/outlet configurations. 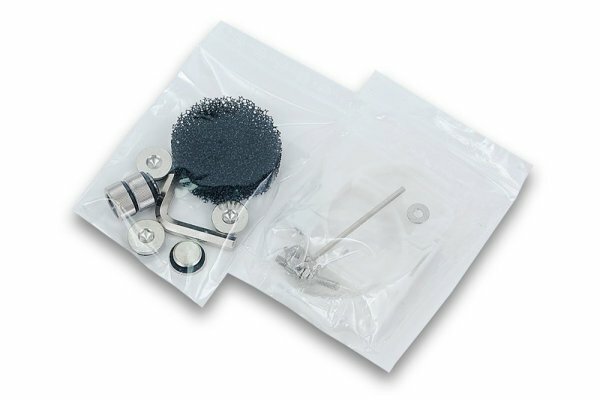 All these features result in easy mounting, filling and quickest bleeding of air. New white RES X3 comes with a pair of white reservoir holders using adjustable fastening force controlled by enclosed Allen key. 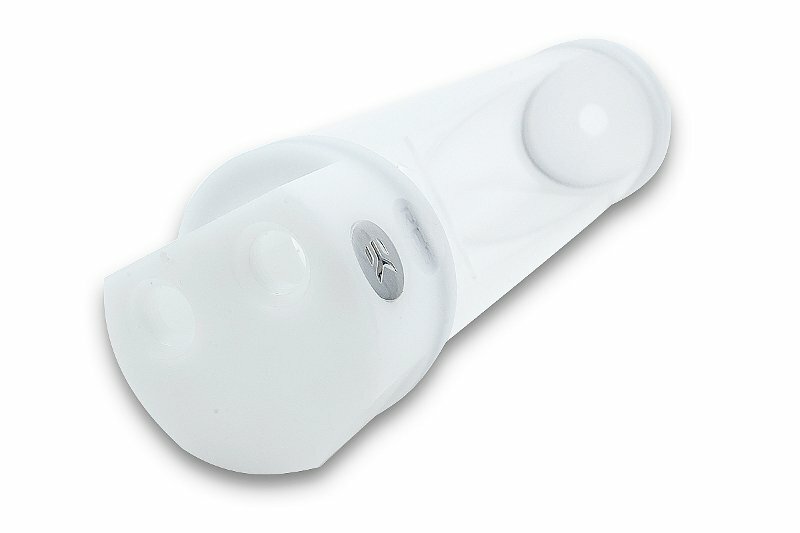 Technical data: – Installation height: 250mm – Diameter: 60mm – Capacity: ~440ml – Weight (netto): 370g Enclosed: – EK-RES X3 250 – White – Pair of white EK reservoir holders with mounting screws – 2 × G1/4 extenders – 4 × G1/4 Plugs – 1 × 6mm Allen key for plugs – 1 × 2,5mm allen key for reservoir holders – 1 × polyether anti-cyclon foam Made in Slovenia – EU!